My Courthouse Clinics Skincare Routine & GIVEAWAY! A few weeks ago I was contacted by the lovely Laura from Flipside PR who asked me if I'd like to try some products from one of her clients, Courthouse Clinics. Courthouse Clinis provide specialist cosmetic treatments at clinics all over the UK including botox, tattoo removal, laser skin resurfacing and skin peels. Basically, any skin concern or cosmetic problem you're faced with, Courthouse Clinics has a solution with their huge array of treatments. I'm actually booked into their clinic myself next week to get some moles removed as I've hated them for years and its something that's always effected my confidence.cI can't wait to finally get rid of them and feel confident in my own skin. I'll report back on that when I've had my treatment if any of you are interested? Before sending me the products, Laura mentioned that this cleanser is brown in colour (thanks to the CoffeeBerry) and doesn't look very appealing, although she assured me it works a treat. I took her word for it and smeared the brown lotion all over my face - not the most attractive look! However, the appearance hasn't put me off using this product as the results are fantastic. Its a very effective cleanser that thoroughly cleans the skin and removes every scrap of makeup. Its 99.2% natural and contains CoffeeBerry, "the first ever Natureceuticals, all natural Cosmeceuticals based on Nature’s most potent source of Antioxidants to deliver superb anti ageing benefits including a visible reduction in fine lines and wrinkles and a dramatic improvement in irregular skin tones." It definitely does have a slight scent of coffee and I'm not the biggest coffee fan but the scent is relatively faint so it doesn't bother me too much! I've been using this most evenings before bed and some mornings (yes, I'm a bad blogger and sometimes I resort to the micellar water when I'm feeling too tierd to embark on a full blown routine). Every time I use it, my skin feels amazing I've been wetting my face with warm water, applying one or two pumps into my hands and then rubbing it all over my face in circular motions. As I mentioned earlier, its almost 100% natural so its very gentle on my skin and its feels like its nourishing it as well as cleaning it. It lathers up very lightly upon contact with water but it certainly doesn't 'froth' or foam like some cleansers do (which I hate by the way) and this prevents my skin from feeling dry or tight after use. Instead, after using this my skin feels fresh, super clean, hydrated and radiant. I don't know what's in it that creates the radiance but it definitely adds a glow to my skin. I really don't have any complaints about this and the humongous bottle will last a long time! Out of all the products I was sent, this is the one I was most looking forward to trying. After years of abusing my super pale and sensitive skin on holidays in the sun, I've been left with a bit of sun damage and pigmentation on my face. Luckily its nothing too noticeable when wearing makeup but I'm definitely open to trying products that will help correct this and give me clear skin. 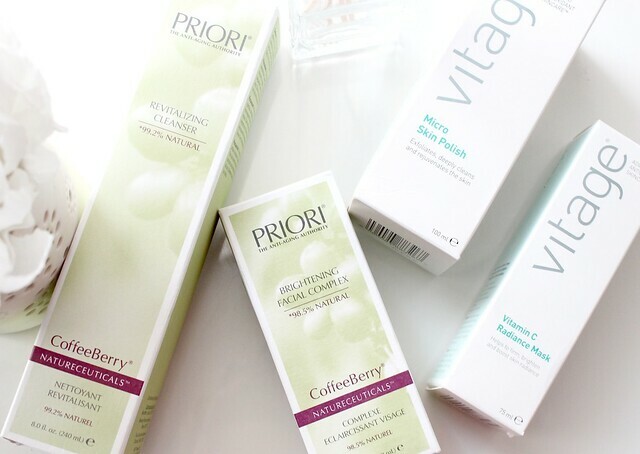 The PRIORI Brightening Facial Complex, which I recently featured in my monthly favourites, is a lightweight cream designed to correct the appearance of uneven skintone. Its 98.5% natural, it contains CoffeeBerry extract for antioxidant protection and it offers moisturising and soothing properties as well as improving pigmentation marks from sun damage or acne. Its designed to be used once or twice daily (I've been using it twice) and can be used on both the face and body, depending on where your problem areas are. As I said, I've been using it twice a day for almost four weeks now and I'm really impressed with it. Its a very lightweight cream which nourishes my skin without feeling too heavy and I've found I don't need to use another moisturiser while using this. I just cleanse my skin, spritz my face with a toner and then apply this. I do the same in the evenings and sometimes add an oil or a serum, depending on what I feel my skin needs on that particular day. In terms of reduction or my pigmentation marks, they do look like they've faded slightly but I'm not sure if that's just down to this product or a combination of things I've been doing (face masks etc). Either way, I'm happy with the results. I've only been using it for four weeks so I imagine my results will be even better the longer I use it. I'm also really happy with how radiant its made my skin look as its one of those products that gives my skin an instant boost every time I use it. I guess this is a hard product to summarise as I'm still in the middle of testing it fully but so far, so good. Lets just say that! When it comes to exfoliating my skin, I tend to opt for face masks or treatments that contain AHA's and remove dead skin cells. 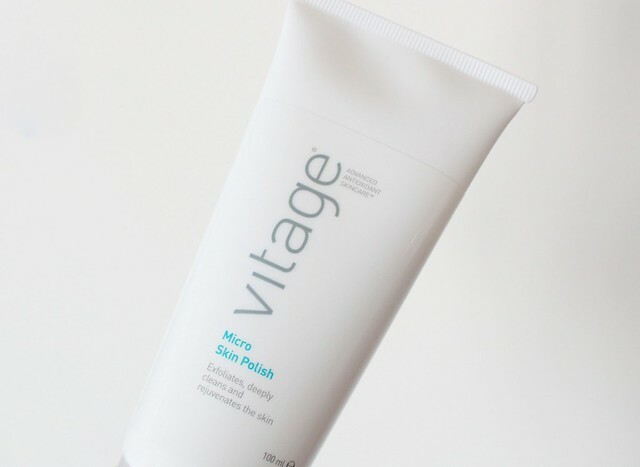 However, since using this Vitage Micro Skin Polish, a traditional exfoliator containing gritty particles that buff away dead skin, I may have been converted. I always believed traditional exfoliators were too harsh for my skin and while I still think some of them are, this one from Vitage is very gentle but also very effective. It contains 'micronised diamond and pearl powder' (I know - how fancy) which help to promote cell turnover for an even skintone and radiant complexion. It also contains Vegetable Derived Glycerin and Allantoin which moisturise the skin and prevent leaving the skin feeling tight and dry. 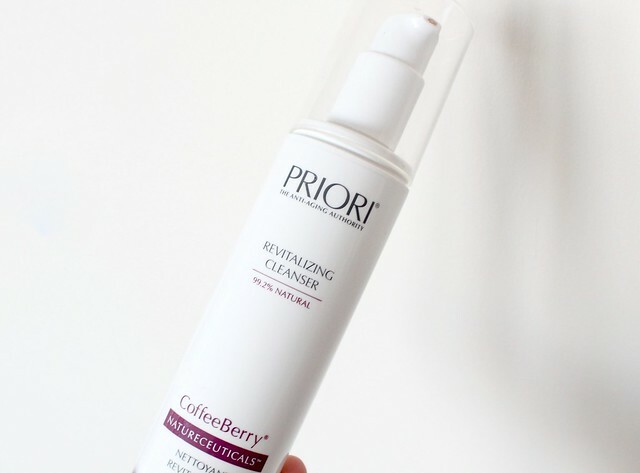 I've been cleansing my skin with the Coffeeberry cleanser mentioned above and then using this once or twice a week to give my skin a really deep clean. I've been so impressed with it as the results are instant and my skin looks noticeably more glowy and plump after use. The texture of my skin is improved too as it leaves it incredibly smooth and soft and any dry patches I have are completely sloughed away. I'd say this is a great product to use before a night out as it packs a real punch in the radiance department and prepares my skin nicely for makeup. I find my foundation sits really well on my skin after using this product. Overall I absolutely love this product and its been a welcome addition to my skincare routine! When my skin is looking a bit lacklustre or feels congested, the first skincare product I'll turn to is a face mask. Face masks are one of the most effective ways to give your skin the boost it needs whether that's a boost of moisture or in my case a boost of radiance. I find my skin is prone to looking quite dull (I'm quite a stressed person which I think contributes to this) so any product that promises to add radiance, I'm willing to try. The Vitage Vitamin C Radiance mask is an anti-ageing mask which hydrates and brightens the skin. Its "highly concentrated with vitamin C which stimulates collagen production to fight the ageing process". Now although I don't really need anti-ageing products just yet, I'm certainly not one to turn my nose up at them as anything that can help keep my skin look youthful and fresh is a winner in my eyes. I'd say that's exactly what this mask does - it hydrates the skin whilst also refining the texture and adding a radiant glow. The directions advise using it 2-3 times a week and to apply a generous layer all over the face and neck for 10-15 minutes. Its a white lotion and it sets on the skin after about five minutes but it doesn't feel tight or uncomfortable at all - it actually feels quite nourishing and pleasant. I've been wearing it while soaking in the bath and when I wash it off my complexion looks visibly more plump and radiant. I haven't been using it long enough to tell if it will help with the (very few) fine lines I have but if it does, that's an added bonus. I'm just very happy with the radiance it gives my skin as its a lovely product to use when I want to have a pamper! Overall I really love each and every one of these products and they've all worked amazingly well at giving my skin some much needed radiance! I have very sensitive skin and often react badly to new products but these ones have been very gentle on my skin and haven't caused any redness, breakouts or irritation. I'd highly recommend all of them! Now, moving on to the exciting part! Laura asked me if I'd be interested in hosting a giveaway to give one of my readers the chance to win the same four products I was sent. That's four high end and effective skincare products worth a whopping £138.50 - what an amazing prize! There's only one compulsory rule to enter the giveaway which is to like Courthouse Clinic's Facebook page and a few extras if you'd like to increase your chance of winning. Its as simple as that! If you'd like to enter, you can do so by using the Rafflecopter widget below. The competition will be open for one week and then myself and Laura will be in touch with the winner so we can arrange getting the products posted to you. The brightening facial sounds amazing!!! I have such dull skin that sounds like it would be perfect!! I'd be most excited to try the mask! I'd be most excited to try the face mask! I love masks so this looks like a lovely one to try, plus it would help brighten my dull looking skin! I would love to try the Skin Polish, I'm trying to find an exfoliator I can truly love!! I'd love to try the facial brightener! I'd like to try the radiance mask. i LOVE the sound of the Brightening Facial Complex. Been needing a mask lately so def want to try their radiance mask! The Vintage vitamin C Radiance mask looks wonderful. Would love to try that one! To be honest, I'd love to try them all - they all look wonderful. Are you looking for the best Pigmentation Treatment in delhi? If yes, read on to find out the safe and effective way to get rid of the blemishes and make your skin look flawless and radiant. Great post such an easy read. The Brightening Facial Complex sounds brilliant. Would love to perk my skin up with this. I want to try the Vitamin c mask! The radiance mask I think - needing some of that! The Revitalising Cleanser please, I would like to give this a try. Brightening Facial complex would be lovely to try. What an amazing giveaway! 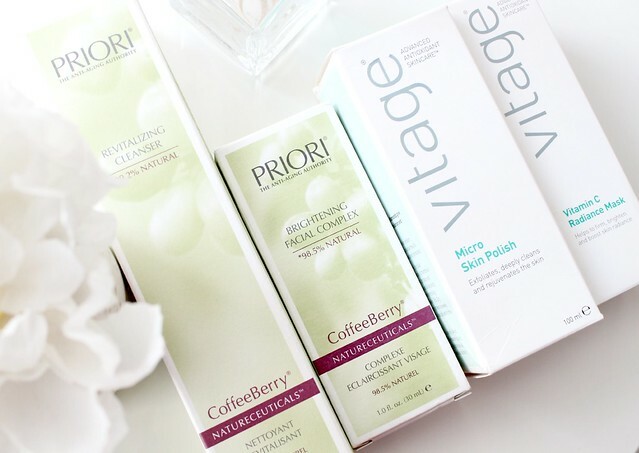 I would love to try the PRIORI CoffeeBerry Brightening Facial Complex. Hopefully it would help to brighten up my dull, winter skin. But all of the products sound fantastic. I'd love to try the skin polish! The CoffeeBerry Brightening Facial Complex. The radiant mask sounds like just what I need for my skin at the moment! I would love the cleanser. That radiance mask looks amazing! All are great :). I would choose CoffeeBerry Revitalising Cleanser. 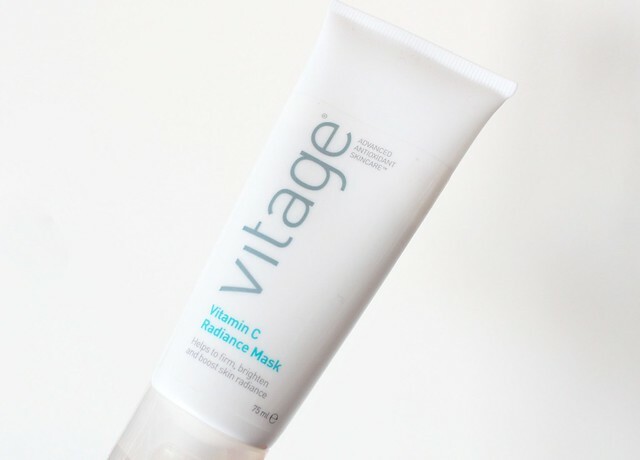 The Vitage Vitamin C Radiance Mask looks fab! The Radiance Mask looks great!! The radiance mask sounds amazing! The vitamin C radiance mask. The skin brightener, just what I need this chilly spring! I'd love to try the micro skin polish or the radiance mask as my skin is blemish prone and quite dull. 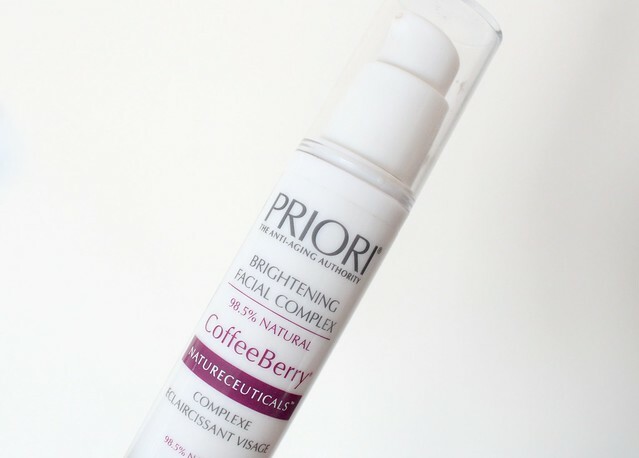 The PRIORI CoffeeBerry Brightening Facial Complex | RRP £53.50 | looks great. I would love to try the face mask i get dry skin and this could really help nourish it. coffee berry brightening sounds great! The Vitage Micro Skin Polish. The Vitamin C Radiance Mask sounds great! I'd love to try the mask, sounds like a fab product! I'm most excited to try the facial brightner! The face mask would be the first thing I would love to try I need it too!!! The micro skin polish, hopefully it would get rid of some of my spots and blemishes!! For more information about Laser Skin Resurfacing Treatments Delhi visit him on the web today or call for a consultation, 9268797532.